Natural Resource Management and Biodiversity Conservation are identified as an area of intervention. The organisation thus, has initiated various projects that can help reduce negative impacts on biodiversity. While some of these directly aim at biodiversity conservation, the others have a positive impact on it indirectly. The organisation had its impact on biodiversity in the manufacturing locations through formal risk and impact assessment studies. As an outcome of the study, biodiversity conservation projects have been initiated around the manufacturing locations in India. The projects range from establishing theme based gardens such as creation of butterfly zones to apiculture inside the plant and outside in the community in Kerala, India. We have partnered with Wildlife Trust of India and initiated a project on Mangrove conservation in Kannur, Kerala. Mangroves are unique ecosystems growing along the inter-tidal coastal habitats such as shorelines, estuaries and backwaters that support a rich biodiversity as well as provides valuable ecosystem services to coastal populations. They also act as barriers for natural hazards such as cyclones and tsunamis; prevent coastal erosion; and maintain inland water quality by preventing sea-water intrusion and trapping sediments. Mangroves are the spawning grounds or nurseries to many edible and commercially important fin fishes and shell fishes, and many coastal communities, mostly below-the-poverty-line people, depend on them for their financial and nutritional security. However, world over, mangrove forests have faced considerable destruction, mostly owing to anthropogenic activities. Through this initiative we wish to ensure the survival of the existing natural mangroves and promote the increase in acreage of such ecosystems. As a part of the project, a nodal centre has been set up for mangrove-based nature education, research and restoration in Kannur, Kerala. It will also promote community-based initiatives to reduce threats to mangroves and enhance public awareness on environmental issues and on the linkage of mangrove protection and sustainable livelihoods. It is expected to pave way for creating a long-term impact on the local policies, by including mangrove protection in the local self-government plans and policies. A mangrove biodiversity inventory will also be created with community participation. The project is modeled on multi stakeholder engagement approach through involvement of local students, youth, communities, government bodies, non-governmental organizations and other stakeholders. 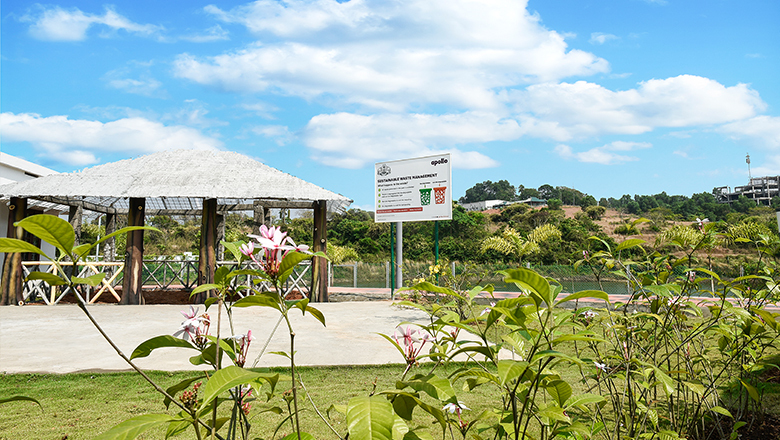 The interpretation centre will assist mangrove-focused nature education, research and encourage mangrove conservation. Emissions have been identified as a matter of concern when it comes to environmental sustainability. To combat this problem the ‘Afforestation Project’ has been initiated. This project not only helps control carbon emissions, but also generates livelihood for farmers in water-starved areas of the country. This project has been implemented in the Kancheepuram, Tiruvannamalai and Tiruvallur districts of Tamil Nadu as of now. By the end of March 2017, a total of two lakh and fifty thousand trees have been planted as a part of the programme. Renewable energy proliferation is key to address the issue of climate change. The organisation is promoting the use of Biogas in its communities around the Limda plant in Gujarat. Water crisis has been identified as another key area to intervene in, due to it featuring in the top 5 global risks. Population explosion, urbanisation, industrial development and climate change impacts have increased the demand for water. Enhancement of water availability is identified as a key initiative under the environmental sustainability journey. Our focus is currently addressing the issue of shortage of potable water sources in vulnerable communities. Chennai being water starved area and based on a need assessment study in the community, Apollo has piloted a purified drinking water project for communities around our Chennai plant. Eco restoration and improvement of water bodies in the community is another project under watershed management theme aimed at restoring and enhancing the aqua-biodiversity. 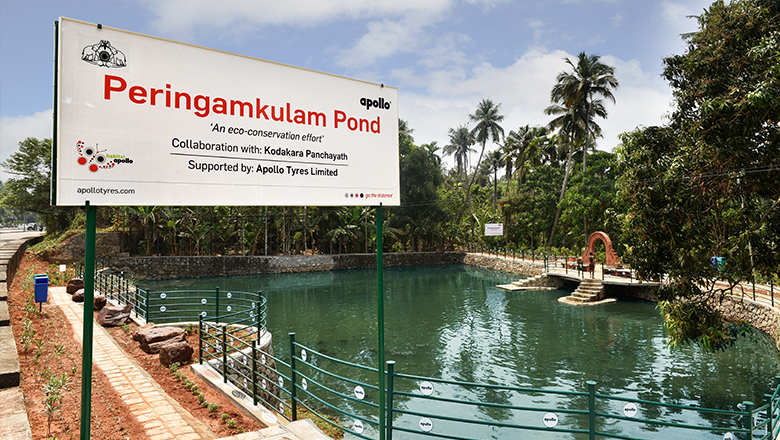 Within this pond restoration projects are undertaken at Chennai, Limda and Perambra locations. The activity includes water quality assessment, cleaning, deepening and bunding of the ponds. It also involves development of surroundings around the pond area. Taking an ecosystem approach we aspire to make these ponds fit for supporting aquatic life as well as provide for green space, and be a source of clean water. Waste management has the potential of turning environmental risks into solutions and leading the way towards sustainable development. Identifying it as an environmental issue to work upon, the organisation have initiated solid waste management and recycling projects. 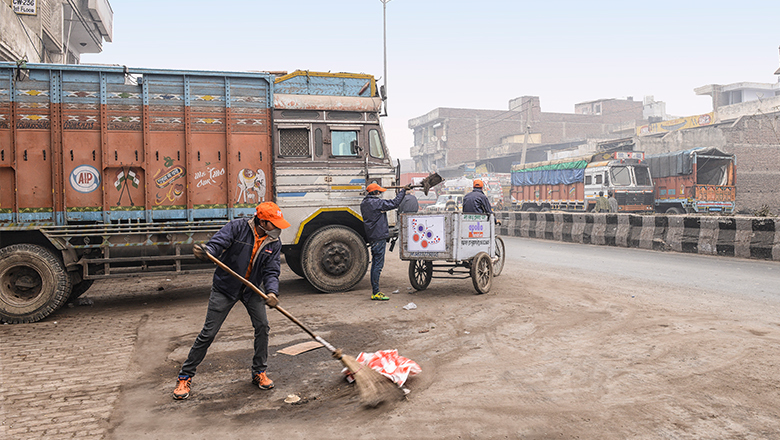 The Clean My Transport Nagar (CMTN) targets to improve waste management and cleanliness of certain transport nagars (hubs) in India. The initiative also aims to generate awareness on health and sanitation among stakeholders. On a similar note, Clean My Village (CMV) is launched to create sustainable waste management practices in villages around Apollo’s manufacturing locations in India. The initiative educates people on waste collection, waste segregation, street cleanliness, compost creation from biodegradable waste, waste recycling and also creates livelihood opportunities for rag pickers. The first CMTN project was started in 2012 in Delhi’s Sanjay Gandhi Transport Nagar, followed by Agra Transport Nagar. Similarly, more such projects have been launched in Jaipur, Jodhpur, Kanpur, Chennai and in 2015. These hubs will also increasingly focus on WASH elements. 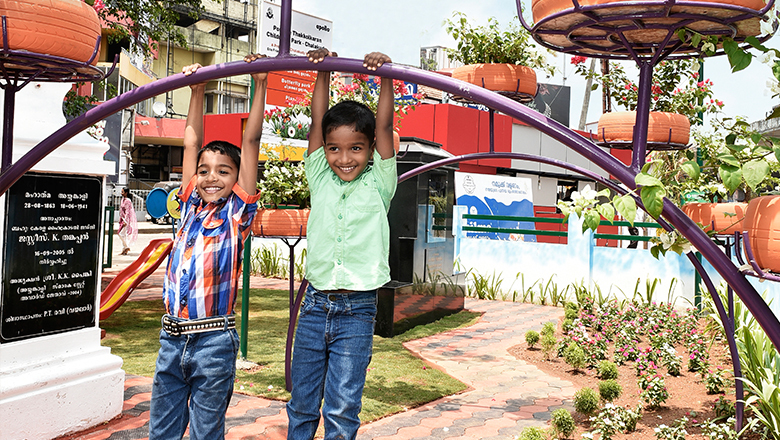 Apollo Tyres inaugurated two tyre playgrounds near Chennai, India. These playgrounds were created using worn-out tyres for the children of the Senakuppam and Vallakottai villages. The schools of the above-mentioned villages lacked play structures and hence were chosen as a location for setting up the playground. ‘Go the Distance’ play structures included monkey-climb swings and ropeways that were created using end-of-life tyres (ELT). Besides making great use of old tyres and reducing waste, the initiative also helped children to improve their agility and activeness, while inculcating the importance of reuse and recycle.